According to the WHO, the Italian health care system is ranked as 2nd best out of 191 countries, in terms of health status, fairness in financial contribution, and responsiveness to people’s expectations of the health care system. This is due to the fact that the Italian health care system is completely nationalised. Everybody in Italy has the same rights to health services, regardless of their employment status or age. The Italian health service guarantees very high standards of medical care and Italian doctors are extremely well trained and dedicated to their profession. In order to get medical treatment in Italy, once you have obtained residence, it is possible to apply to join the Italian national health service. For residents in Italy, it is necessary to register with your local health authority (unità sanitaria locale), which will provide you with your own unique health number. This number allows you to register as a patient with a local general practitioner / doctor. EU citizens are required to obtain the European Health Insurance Card (former E111 Form in use until 2006) before leaving their home country. This will be exchanged for an Italian version of your European Health Insurance Card (tessera sanitaria) once you have registered with your local health authority. 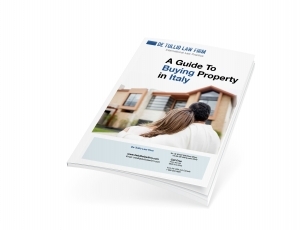 For non-EU citizens resident in Italy a private insurance policy is necessary, (Italian or other). Many people who retire in Italy choose to obtain or continue a private health insurance policy. In general, premiums are not that expensive. A special mention for UK citizens, because there is an agreement between the UK and Italy: retired UK citizens can access the basic health care system in Italy assuming they have paid all their National Insurance Contributions during their working life in the UK. Where necessary, general practitioners will issue prescriptions for medication, which may be either partially or entirely paid for by the State.